I will be glad if someone could help me. 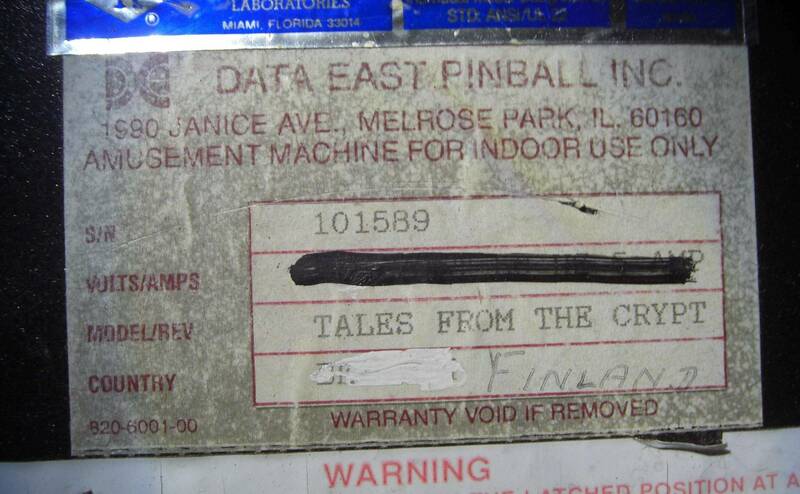 I'm looking for a high quality picture of this Tales from the Crypt manufacturing label. And i wish to know the original size of this label. (Sorry for my English, i'm French) Thanks ! I would be interested in this as well. Thanks in advance. This was the best I could do since it was hard to get a well lit picture without glare (and my label is pretty beat up). Dimensions are 3.5 by 2 inches. Thanks for your help gtown ! I searched all over the web and found one decent original label for a Data East, but the perspective was way off at an angle and missing most of it. So I used it anyway to do color matching on the background for the card and the font color. Then I took a photo of my label which is all faded and overlaid it onto a new template and completely remade the label from scratch, at 300dpi so it prints crystal clear, and sized at 3.5" wide by 2" tall which is original size. So I kept my template. I spent over an hour re-engineering this thing from scratch and should be working instead... 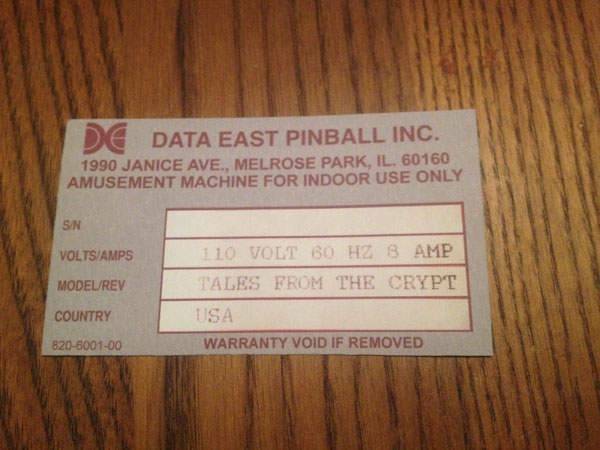 I'd be willing to make individual cards which can include your original serial #, volts/amps info, model/rev & country info and remake these custom for each user for a minimal donation to my PayPal account. PM me if you're interested or in need. This won't be the last of my "remake" projects on here either. That example looks phenomenal. You literally brought it back from the dead! I reworked it for another 5 hours today to add a texture that replicated the texture on the original grey background and slightly better color matching on the fonts, and am using the exact original printed letters that came with the original since no available fonts match perfect. It was a painstaking process. I'll post the finished printed ones in a moment. NICE! Would be great if you could do a whole set of DE 'shop-out"decals for the rest of the game and sell them as a set. 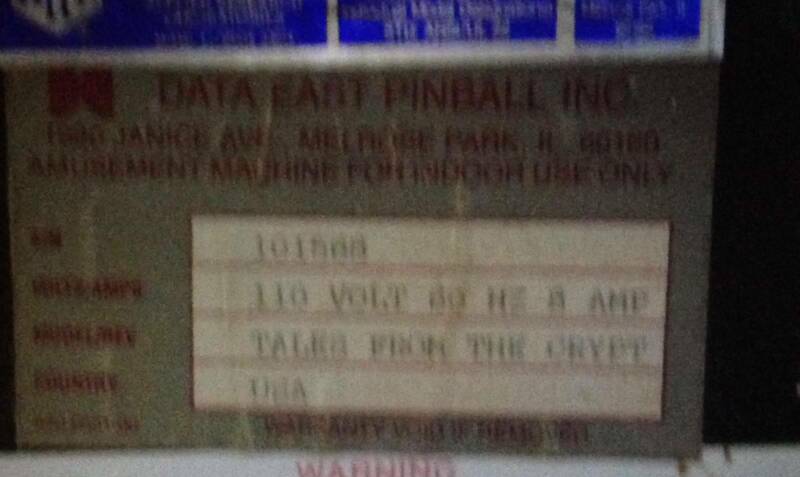 People can give you the serial number and you can ad it in and send it out. Quoted from NYP:NICE! Would be great if you could do a whole set of DE 'shop-out"decals for the rest of the game and sell them as a set. People can give you the serial number and you can ad it in and send it out. WOW ! Awesome work !